BP3 has expanded its Brazos product suite of BPM end user tools with Brazos Portal, an alternative to the out-of-the-box IBM BPM Process Portal. BP3 (http://www.bp-3.com), leaders in business process management (BPM) services, has announced the release of Brazos Portal, a customizable, user-friendly alternative to the out-of-the-box IBM BPM Process Portal. 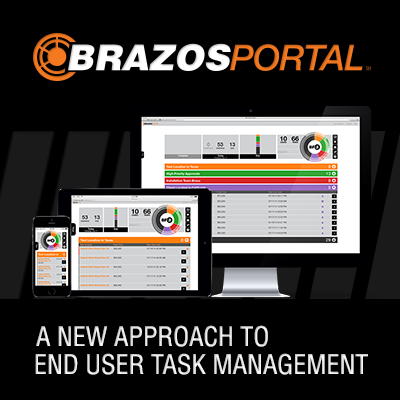 The Brazos Portal is the latest expansion to BP3’s Brazos suite of BPM end-user tools. Currently, Brazos tools are in use in at least 44 live deployments, with over 450 registered developers. The Brazos Portal was created to enhance the IBM BPM end user task management experience. It includes several differentiating features, including a filtering technology that allows users to customize the organization of their work. This makes it easier to find important work and reorganize tasks when priorities change. Portal’s innovative design also includes a TaskDrive that allows users to filter their work with a simple click, rather than by typing into a search field. The responsive HTML creates a consistent experience on browsers of all sizes and the Portal mobile app allows users to manage their work on the go. In addition to Brazos Portal, BP3 also offers the Brazos UI toolkit and Brazos Charts as part of its suite of end user tools. A webinar with Brazos Portal developers will be held on Tuesday, July 29th at 9am CST and 4pm CST. Additional information on Portal, Brazos UI and Brazos Charts can be found on BP3’s website. Brazos Portal is available for immediate download: http://www.bp-3.com/brazos/brazos-portal/. Additional support and services are available as well. About BP3: BP3 is a provider of business process management (BPM) software and services, with more experience deploying BPM solutions throughout the Fortune 500 than any other independent firm. Since 2007, BP3 has been accelerating innovation for its customers by simplifying business process solutions and focusing on mobile-enabled BPM solutions. BP3 offers a unified responsive user experience via the Brazos Suite™, and provides an array of services for BPM customers: consulting, solution support, 24x7 support, and managed services. A winner of Austin's Best Places to Work and multiple Austin Fast 50 growth awards, BP3 is privately held and headquartered in Austin, TX with consultants based nation-wide. For more information, please visit http://www.bp-3.com.